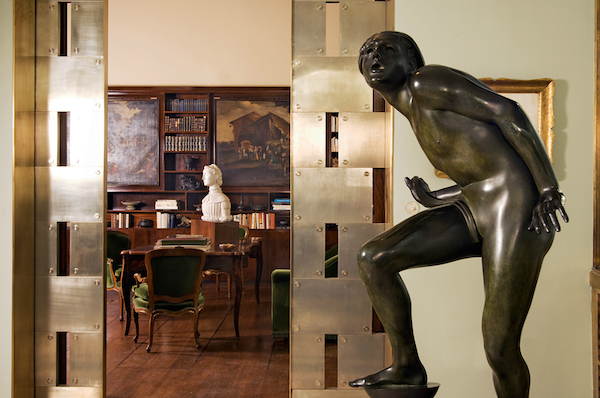 Having just immersed ourselves in the dazzling world of Duke Fulco di Verdura, it was fortuitous to learn, via T magazine, that a new luxury edition of Giuseppe Tomasi di Lampedusa’s 1958 novel, “The Leopard” is being published. Including 32 photographs by Giovan Battista Poletto, below, from the set of Visconti’s 1963 film, looking back at the Sicilian setting for this novel offers insight into the early life of the master jeweler that so informed his work. Lampedusa was in fact a second cousin and friend of Verdura and the novel chronicles the lifestyle of Sicilian aristocracy that was their legacy. 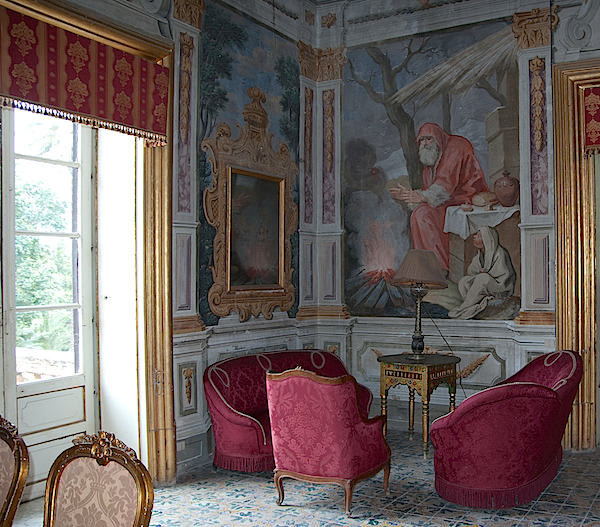 In the book, Villa Falconeri, with its cascading bougainvillea, was clearly based on the floral laden facade of Villa Niscemi, Verdura’s childhood home, below. Even after the unification of Italy, Niscemi remained unscathed. Here Verdura enjoyed a privileged life as well as an artistic appreciation for many of the major themes that would appear later in his work – nature, culture and religion. As the glamour and finances of his Sicilian youth faded in the shadow of World War I, life as he knew it changed forever. And perhaps it was this foreboding sense of the transitory nature of life that led to Fulco’s amazing ability to always be at the right place at the right time. His aristocratic ancestry along with his wit, flair and knowledge of the arts and history endeared him to the new international society, a fluid mix of intellectuals, socialites, moneyed expatriates and a newly respectable working class, including such luminaries as Chanel. Later in Hollywood and New York, these same qualities, alongside his artistic talent, ensured his success. Everyone from Elsa Maxwell to Cecil Beaton recognized Verdura as a man of erudition, flawless manners and a “tongue of quicksilver,” whose professional and personal lives melded seamlessly. 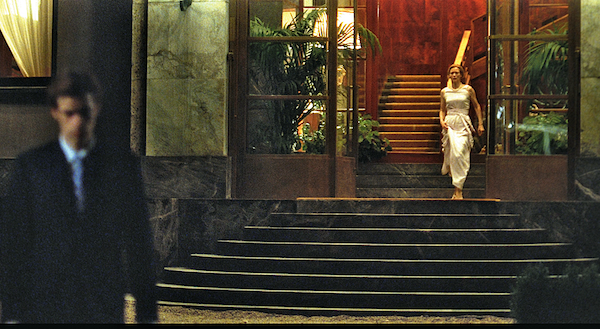 This weekend I coincidentally watched I Am Love again and, on the heels of my recent Verdura research, was reminded of the similarity between this movie and Visconti’s earlier epic. 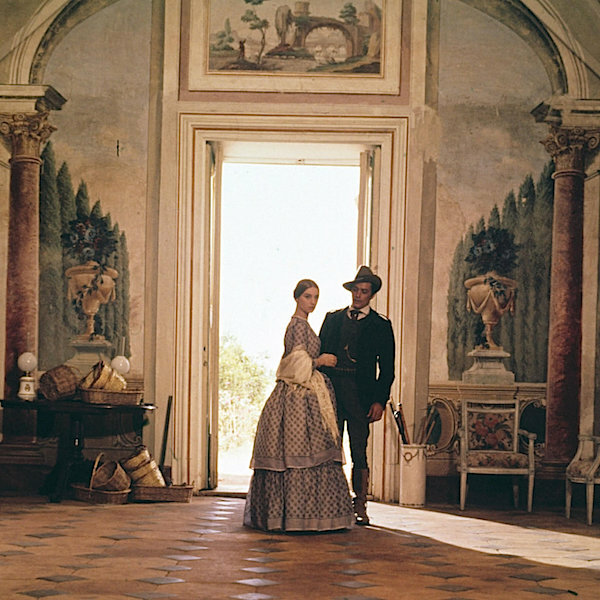 While both films focus on the rich visual details of the Italian upper class, The Leopard is played out among “crumbling villas with peeling frescoes and exquisite ball gowns” of the mid 19th century and I am Love’s contemporary tale takes place in Villa Necchi Campiglio, a house of obvious affluence but modern restraint. 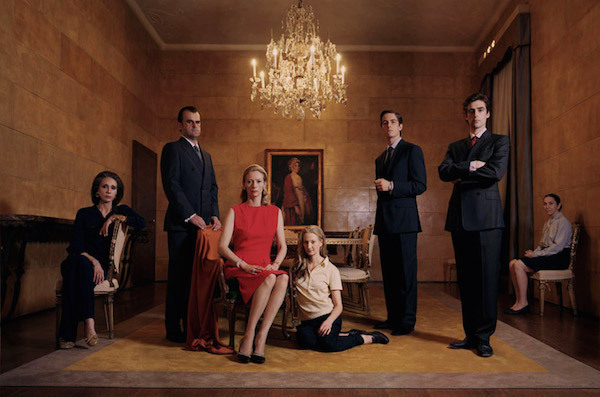 The latter is nonetheless a remarkable replay of the disintegration of a wealthy Italian family struggling in the face of change on many levels. I had never thought before about how the father’s name, Tancredi, is the same as Alain Delon’s opportunistic character in The Leopard. But in thinking about the threads linking these films and Verdura’s world, it is a reminder of the inevitability of change. But it is also a nod to the power of transformation and how the ageless conflicts between old and new, tradition and social order versus individual empowerment and passion are inextricably linked in all aspects of art, society and history. And it is a reminder that looking back is essential in order to move forward, for without knowledge of where we’ve been, it’s impossible to create something new of lasting value and substance. Please note the delay in this post is due to issues with my hosting service that are hopefully being resolved. This entry posted in art, fashion, film, history, interior design, travel. Entry Tags: I am Love, Sicily, The Leopard, Verdura, Visconti Bookmark the permalink. Such a fantastic post. Thank you, Stacey. I just added I am Love to my Netflix list, so glad to have your recommendations and will also add The Leopard as well. Your blog posts are giving my computer a migraine. I am hoping for corrections soon as I cannot bear the thought of missing your wonderful posts. I apologize for the technical difficulties Verd – the server issues are unfortunately beyond my control. But the site does seem to be up and running again. Thank you for your visits and kind words! What an interesting read this morning, Stacey! Susanna just sent me to read this post as I have just this minute finished watching The Leopard for the first time. Gosh, it was so much to take in. The sets are beyond description. Cannot believe you’ve linked it to I Am Love. I lived in London when the movie was first released and was sent to see it after a friend told me I had to go that night. I ended up seeing the film seven times in the theatre and have watched it countless times since. 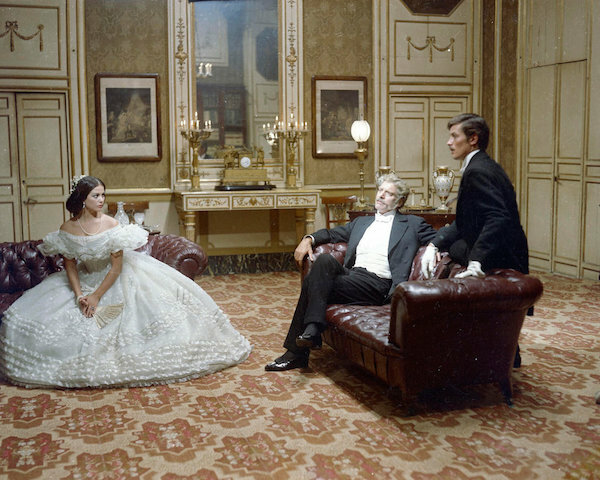 Like in The Leopard, I was magically transported through space and time due to the utter beauty that made up the sets and the costumes. I will rewatch both films now with an eye for their parallels and connections. 84 queries in 0.672 seconds.